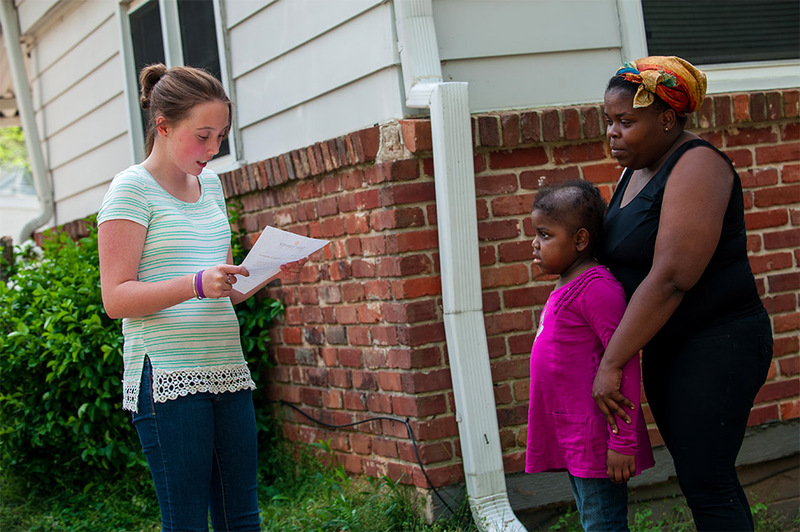 Eight-year-old Makala has a lot of experience at something no one should have to go through. She was only four years old when she was first diagnosed with leukemia, which means that she has been battling the disease half her life. She has logged more hospital hours than anyone could count. No child should know how to walk while dragging an IV pole, but Makala is a pro. We knew that Makala got bored in the hospital and missed her family. So Team Summer kid Kayla, who battled a brain tumor herself, decided to do something about it! 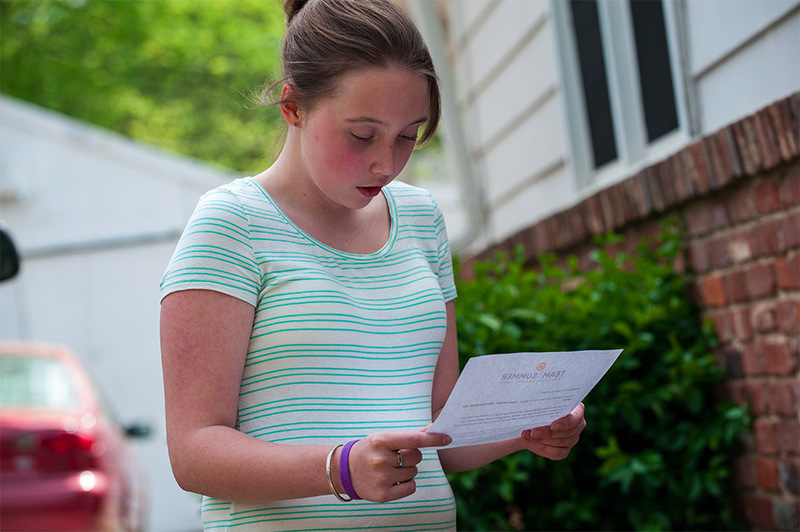 She surprised Makala at her house one day and read her the Team Summer welcome letter. Makala’s mom knew what was going on, but Makala didn’t know what to think! Then Kalya handed her a gift bag. She could hardly believe it! 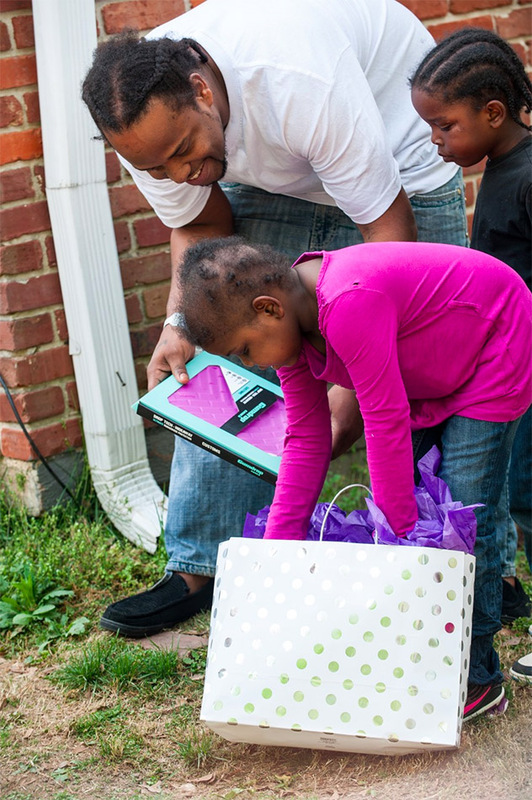 Her very own iPad! And a case to keep it safe! 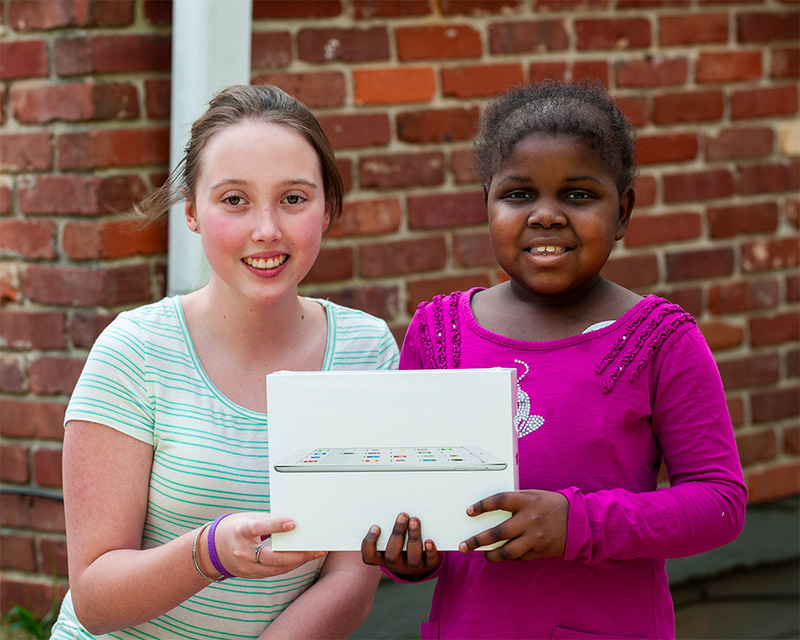 She had used the hospital’s iPad every chance she could, but having one of her own meant the world to her. Besides playing games and watching movies, she would finally be able to FaceTime her family back home any time she wanted! And Kayla’s timing could not have been better. 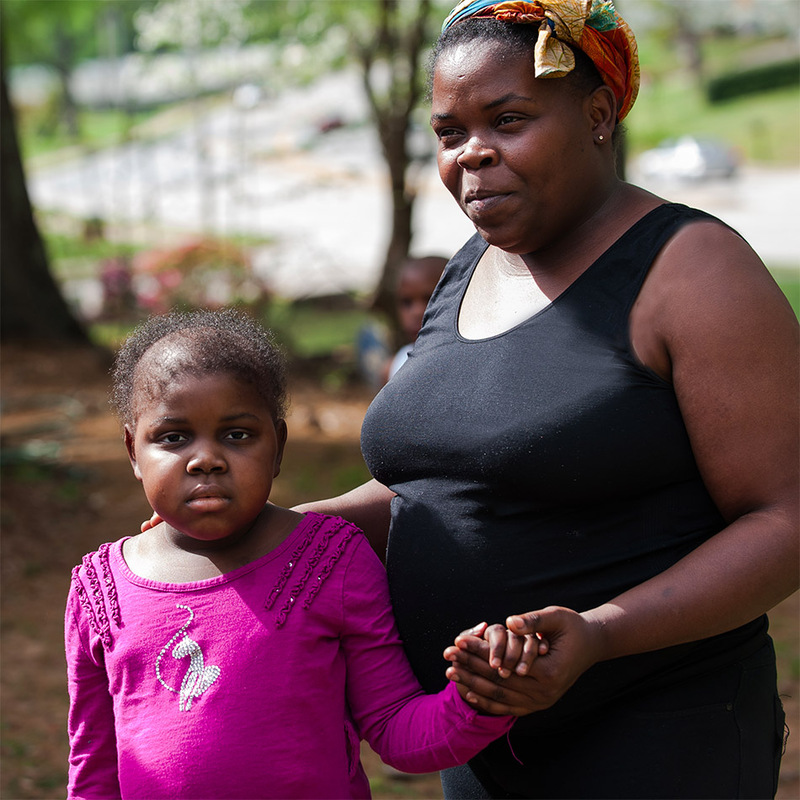 Makala was headed back to the hospital for yet another very long round of treatment. This time, she was bringing something with her that made her smile! Thanks so much to all of you who donate to Team Summer. 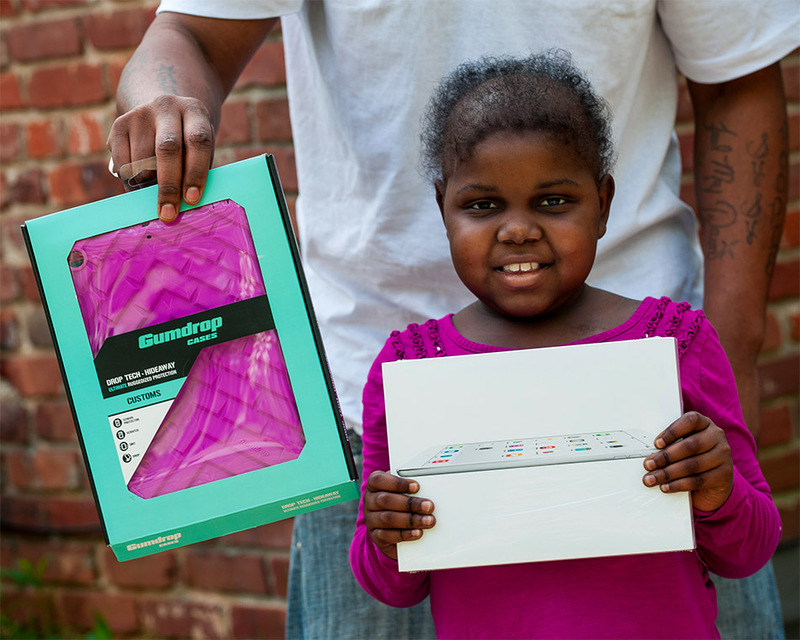 Your generosity added a beautiful ray of sunshine into this little girl’s challenging life. And many thanks to John Glenn for volunteering his talents and taking these great pictures!